Maxxis Tires. From your bike to your truck and almost every tire in between, Maxxis Tires will have you hooking up, pulling the holeshot, and beating your competition. Just ask the King, Jeremy McGrath. To learn more, follow us on Facebook or Instagram. Throughout the month of December, Racer X Online editors and contributors will be handing out one award each day for an outstanding performance or effort or product related to the global motocross industry in 2018. Each winner will receive this award, which we’re calling a Roger, just like the Academy Awards have their Oscars. It’s in honor of Roger DeCoster, a great ambassador for the sport of motocross for more than 50 years. Today’s topic is Racer X Minicylist of the Year. This was one of the toughest of our annual Racer X Awards to decide. 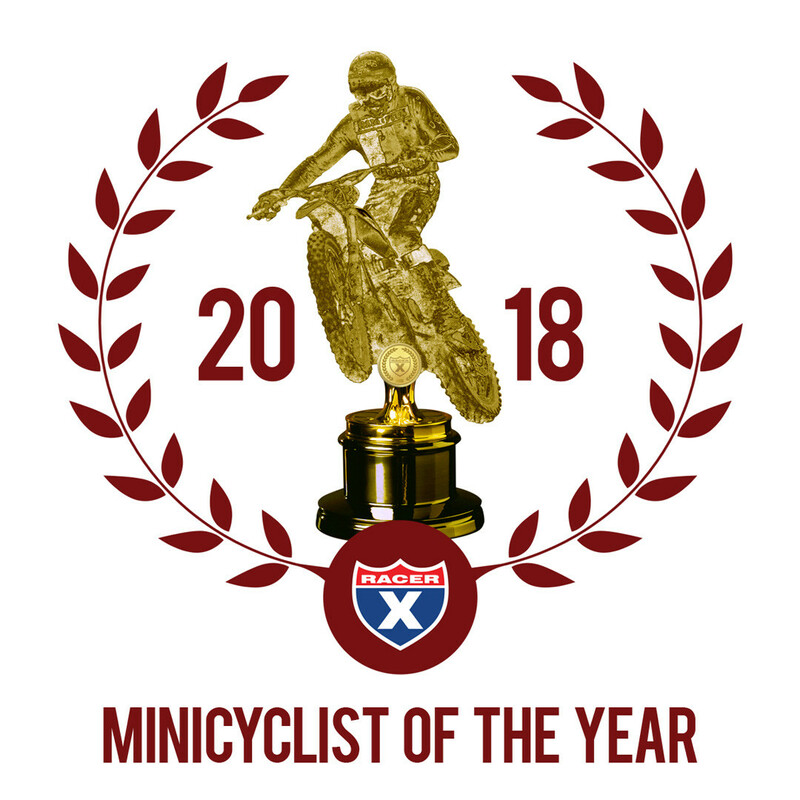 The term minicylist covers many categories and classes, from a five-year-old on a 50 to a 15-year-old on a supermini, and the amateur calendar sends riders to tons of different races against tons of different competitors—and even those races might have different age limits or class restrictions. Add it all up, and lots of very talented young riders collect lots of first-place trophies. To pick an award winner from a vast group of successful riders, we had to look at this differently. We’re awarding it to the impact player. 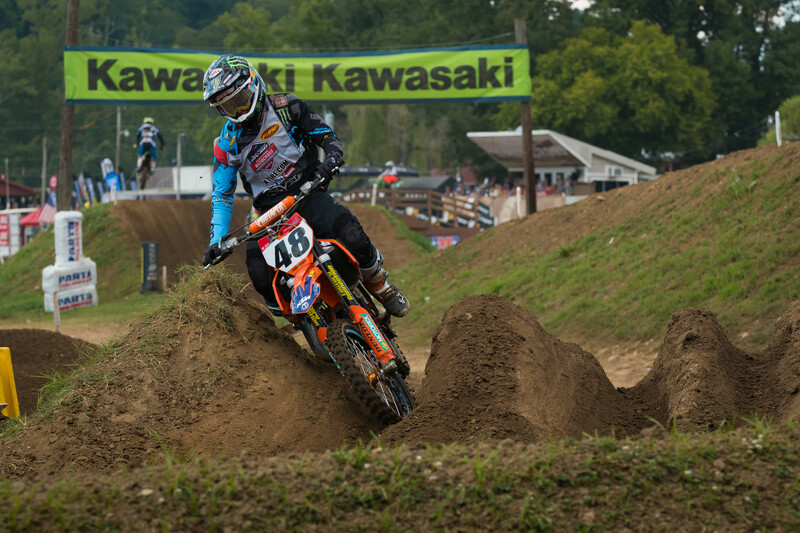 After working through the ranks with the Rides Unlimited amateur team, Tennessee’s Nate Thrasher picked up a Kawasaki Team Green ride in 2017 and rode well, winning a ton at the Mini Os and scoring a podium at Loretta’s. But he switched to the KTM Orange Brigade for 2018 with hopes of getting on a 125. He stuck with the supermini machine through the Rocky Mountain ATV/MC AMA Amateur National at Loretta Lynn’s, though, and struck gold. Thrasher, yes, thrashed his competition in this prestigious class, going 1-1-1 in both divisions for a six-moto sweep, and a perfect week. We’ve seen those types of results at the Ranch before, but the way Thrasher did it was what impressed the most. He was so much faster than his competition that even with bad starts and crashes, he could just roll through the pack and win. It was as dominant as dominant gets. A few caveats here. Thrasher is one of the oldest and biggest kids in that class, and he jumped up to a 125 after Loretta’s (he didn’t even race the supermini event at Monster Energy Cup because he’s done with the smaller bike). 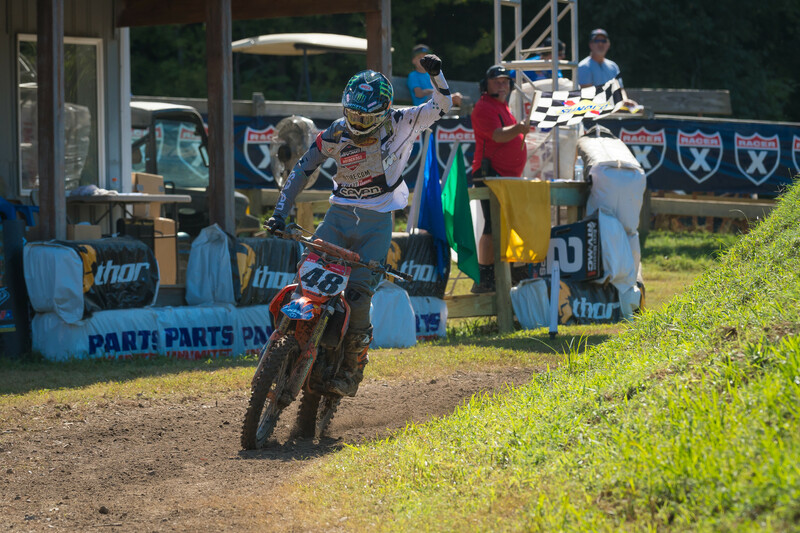 Loretta’s supermini runner-up Max Vohland was quick to point out that he’s a few months younger than Thrasher and can keep racing the supermini class, and true to his word, Vohland won the supermini race at the MEC. Also, Jett Reynolds has been winning titles at every level of minicycle that he races, but he missed a lot of this year with injuries. Eventually these kids will all be pros and compete on equal footing. For now, Thrasher has done the most important part. 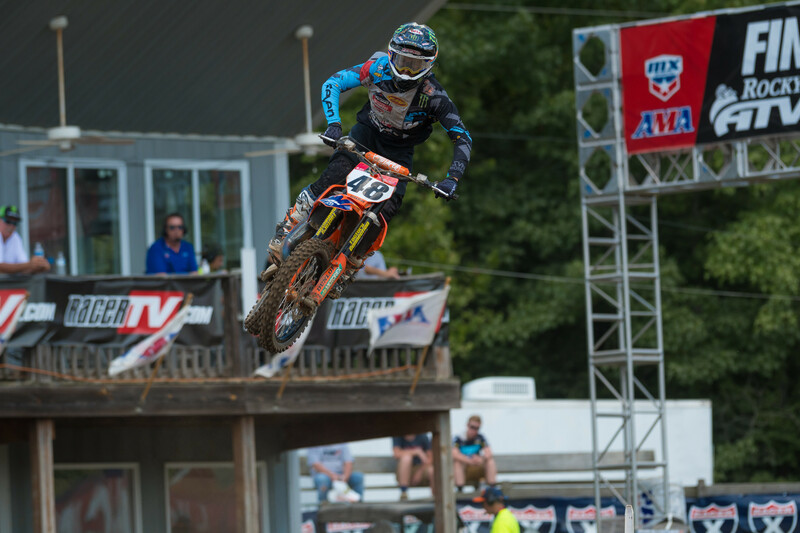 By dominating at Loretta’s, he’s become a red-hot prospect, with a variety of teams and brands lining up to try to sign him for a deal that takes him into the pros. For any minicycle rider, a deal like that is the ultimate prize. Well, a few extra awards won’t hurt. We present Nathaniel Thrasher with the Roger for Racer X Minicylist of the Year.